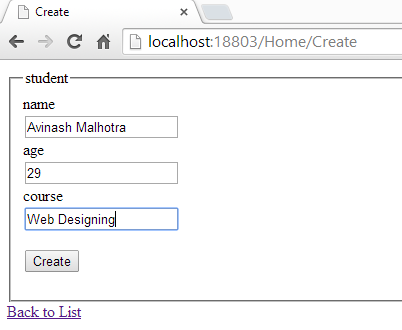 In this article I will explain how to use Scaffolding Create option using Entity Framework. 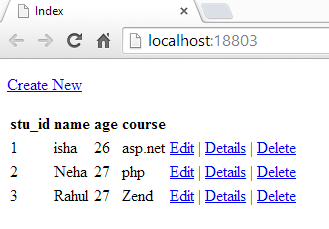 in my previous article series I explained how to use this option using LINQ. 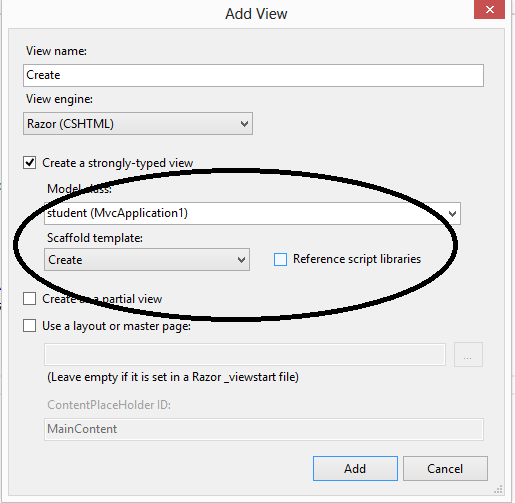 In this window select Model class which is student and select Create option from Scaffold Template and click on Add button. 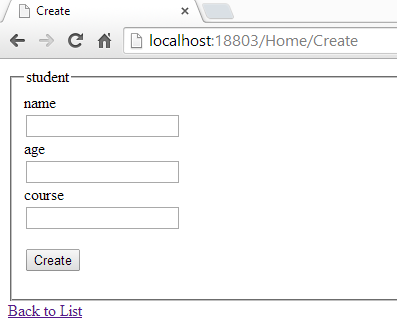 As you clicked on add button Create view will be created. As we know that stu_id is an Identity so we need not to add this column. So we can remove this column from our page. Similarly we can customize our form using others controls according to need. 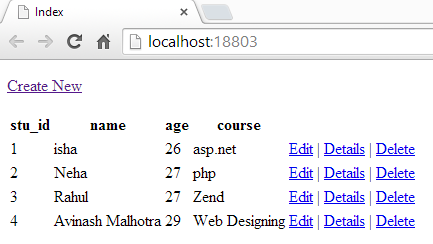 So delete this code from your view and again execute this form. Now when we click on Create button we need to get the data of controls so we need to overload the Create action and set the get and post tag accordingly. Then we will add code for insertion using EF. 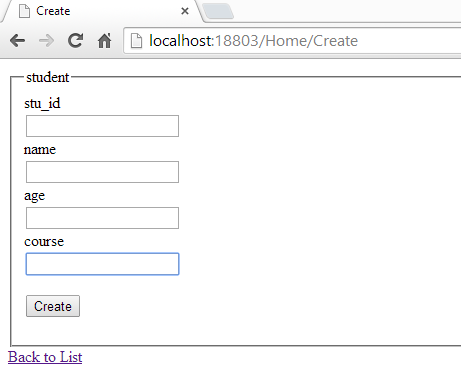 Note:- if you are new to Entity Framework then Click here to understand the insert option in EF. For any query you can mail me at Malhotra.isha3388@gmail.com.